Disappointed that life in New York doesn’t exactly match up with the romantic comedies? If so, here’s some good news: there is, in fact, a spot in the city that matches movie-quality expectations. 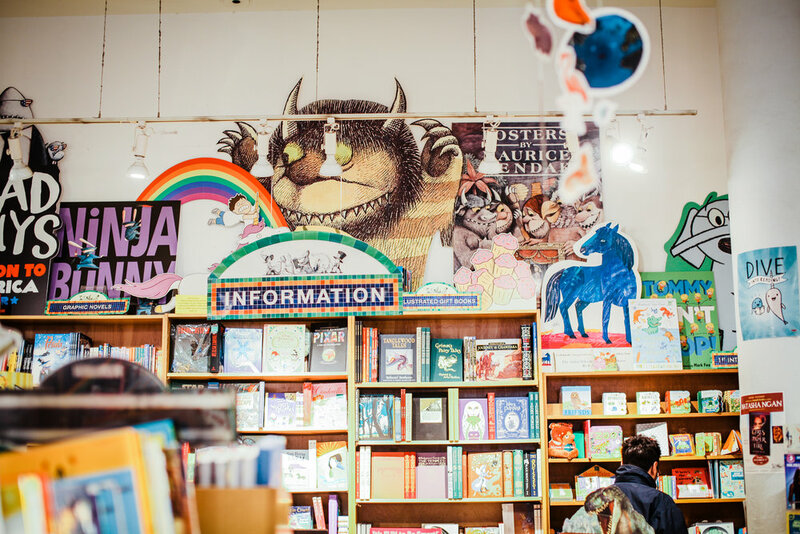 Books of Wonder, a small, yet flourishing children’s bookstore in the heart of Chelsea, served as the inspiration for one of the primary sets in the award-winning film, You’ve Got Mail. It’s easy to see why - the bookstore brews over with charm and personality. Stepping into Books of Wonder is truly like entering the idealized world of the film. In the film, You’ve Got Mail, New York City is idealized as a the perfect city for a charming romance. A true Manhattan love story, the film depicts the budding romance between Kathleen Kelly (Meg Ryan), owner of a small children’s bookstore, The Shop Around the Corner and Joe Fox (Tom Hanks), owner of a chainstore called Fox Books. The layout of Kathleen’s bookstore is nearly identical to Books of Wonder during the time the movie was created. The rival bookstore, Fox Books has been compared to the Union Square Barnes & Noble. Opening its doors in 1980 with only a grand total of 200 square feet and hand-built bookshelves, Books of Wonder began as a bit of an undiscovered gem. It did, however, cultivate a small but devoted customer base. Among these was movie director and screenplay writer Nora Ephron. In 1997, she and her sister (Delia Ephron, also a writer and customer) approached storeowners about using their model for a children’s bookstore in a movie. The bookstore’s involvement in You’ve Got Mail was extensive. Meg Ryan spent a day working in the store to prepare for her role in the film, and when it came time to create The Shop Around the Corner on set, staff members from Books of Wonder were sent to assist arranging books to create a more authentic appearance. If you look closely, you can see what was once a hole-in-the-wall shop listed in the credits at the end of the film. Since the publicity generated by You’ve Got Mail, Books of Wonder has been forced to expand. While originally located at 16 West 18th Street, the store moved to its current location next door in 2004. The layout, however, and the original “mood” of the place remains the same. The revolving door of Books of Wonder whirls customers straight into the stories that defined their childhoods. A life-sized statue of Pooh rests on a wall facing towering Harry Potter shelves, and the antique books section contains originals of L. Frank Baum’s Oz series. Paper maché clouds hang from the ceiling and an author will likely be sitting in the corner, quietly chatting with children and signing their offerings. In all the noise and calamity of life in this city, Books of Wonder provides a therapeutic mix of the spirit of a romantic comedy, the innocence of childhood and the picture-perfect ambiance of You’ve Got Mail. Want to visit Books of Wonder?